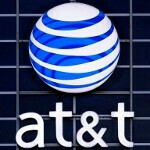 AT&T is rolling out the first two new models with its Enhanced PTT, the Samsung Rugby III and the Sonim XP5560 Bolt. With the Enhanced PTT service, your handsets are running over AT&T's 3G and 4G networks including the 700MHz LTE pipeline. You can have 1,000 contacts divided into as many as 250 talk groups and know exactly which of those contacts are available to talk at any given moment. Even if the person you are trying to connect to is on another call or their phone is in silent mode, they will know that you are trying to get in touch with them. Both new handsets are of the rugged variety. The Samsung Rugby III is a flip phone that is built to mil-spec 810G and that means it is protected from dust, water and shock. The handset features a 2.4 QVGA screen and a 3MP camera. With a two-year contract, this model is free. The Sonim XP5560 Bolt is a "bar-styled" device that can survive a 6 foot fall onto concrete and submersion in water for up to 30 minutes. With a new PTT contract, you can grab the Bolt for $199.99. AT&T's new Enhanced PTT is just an additional $5 monthly when added to an existing AT&T voice and data plan, or $30 per month for PTT service. The latter does not include voice or non-PTT data. Finally a replacement for the relatively ancient Rugby 2. My dad's company does construction (even rugged smartphones don't do well) so this is relevant. Well hopefully it works ok I had Nextel and in my area it sucked.